I actually forgot I even had these photos on my laptop, so I’m really sorry. Mostly for waiting so long before sharing this place with you, because it’s bloody great. Sugar Rays is one of those places that I kept seeing on my Instagram feed and every post just made me want to visit even more. Thankfully, Ros (who more promptly blogged our visit) also felt the same way and we never pass up an opportunity to stuff our faces and drink cocktails on a weekday. 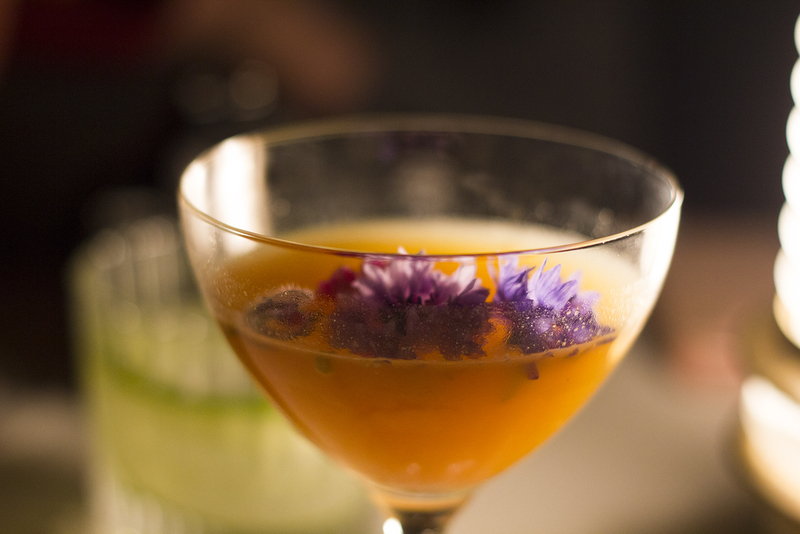 It’s in a bit of a lowkey spot near Jimmy’s and Cottonopolis between Piccadilly Gardens and the Northern Quarter, but once you find it, you’re transported to a New York style underground bar that feels like a hidden gem. We weren’t actually visiting on a ‘review’ trip, which are booked and organised by the restaurant and/or PR team, so we were really surprised to sit down and immediately have two free cocktails thrust at us. 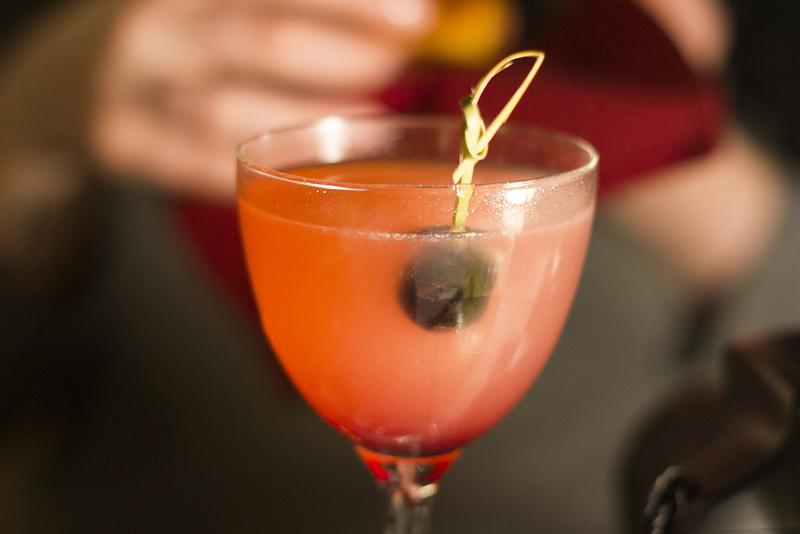 As it was a quiet weekday evening, the bar staff were making cocktails for their Instagram stories and luckily for us, the cocktails were going spare after their mini photoshoot! Score. 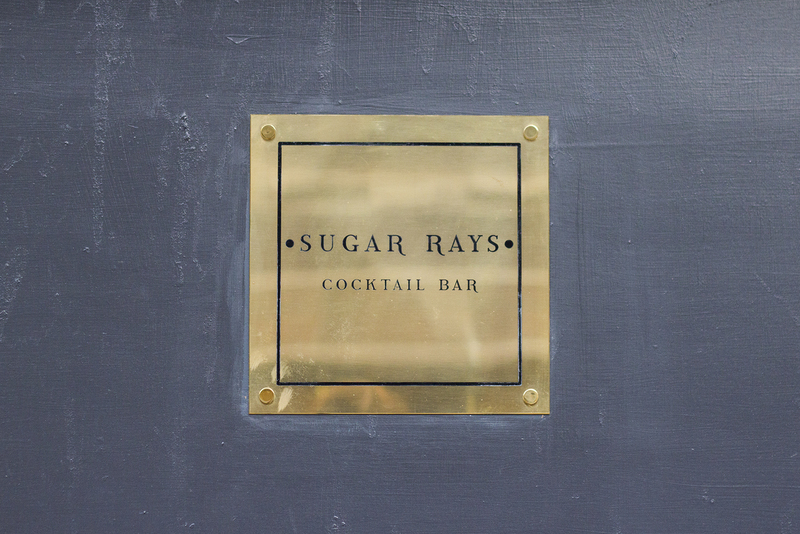 The cocktail menu at Sugar Rays is extensive and changes with the seasons, so there’s lots to choose from outside of your standard cocktail bar menu. It’s the sort of place where you could ask for whatever cocktail you wanted and you know the bar staff would be able to whip it up with no problems. We also somehow managed to bag a free hot dog too. Thanks again, Instagram photo shoot. We were planning on sharing a hot dog and both getting waffles too, so it worked out perfectly. 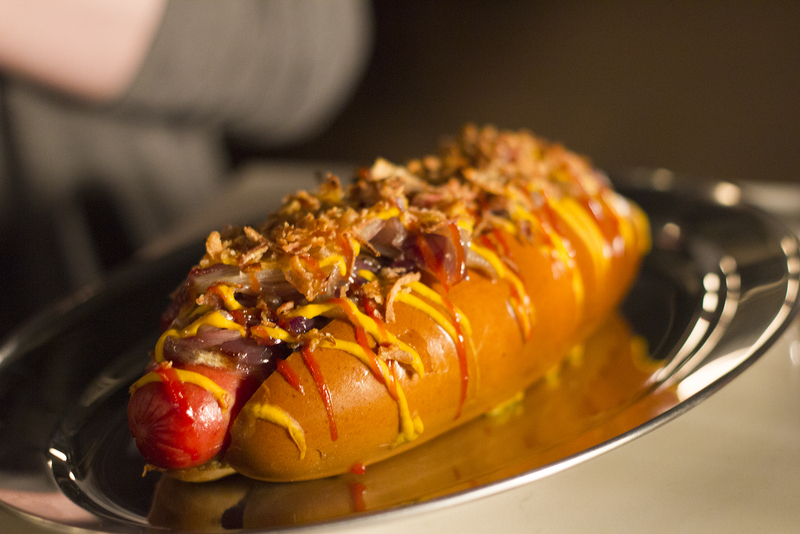 They gave us the Ballgame Hot Dog (£7.50), which consists of a classic frank topped with fried onions, crispy shallots, caramelised onions, ketchup & mustard. 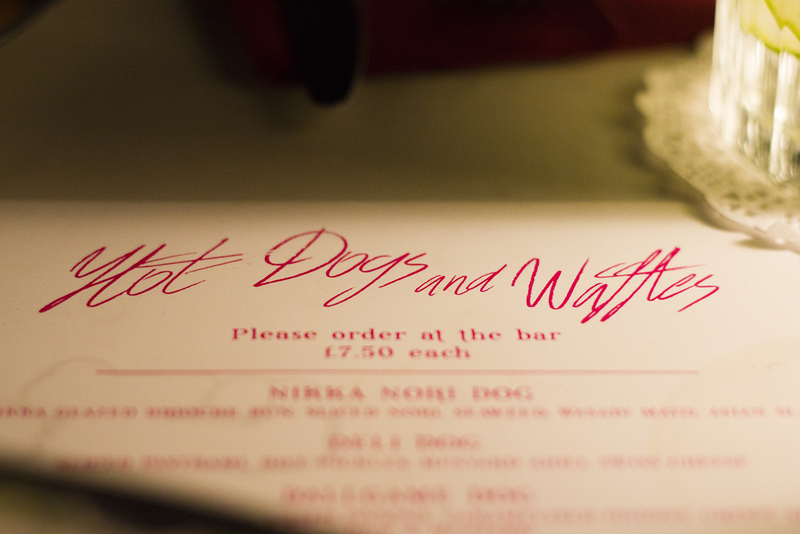 It was honestly the best hot dog I’ve ever eaten and I’m desperate to go back to try more – they do a chicken, bacon & waffle one too! 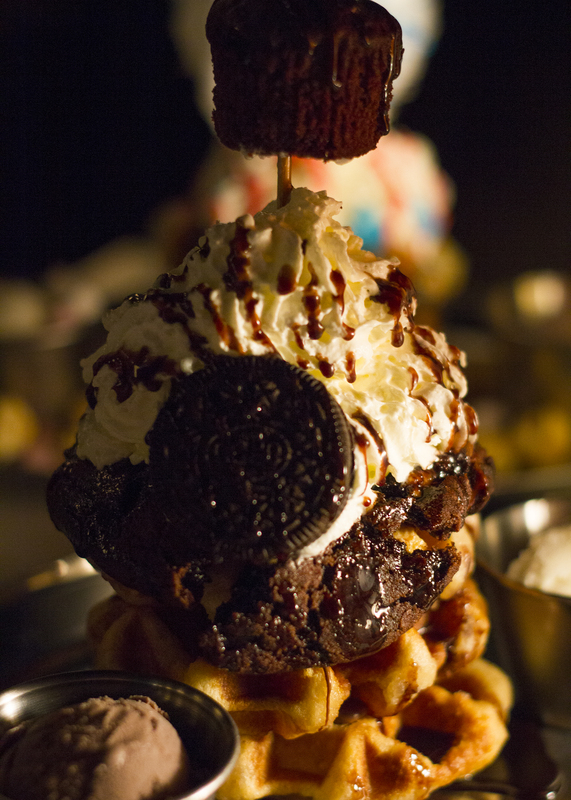 The main event, however, had to be the waffles. We’d seen them countless times on Instagram and we knew we needed them in our lives. 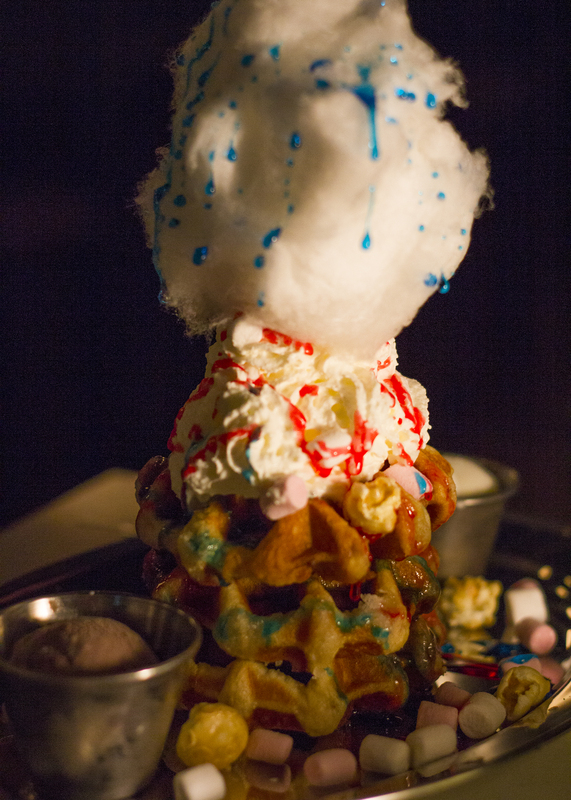 Ros went for the Fairground Ride Waffles (£7.50), which were smothered in bubblegum sauce, marshmallows, candy floss, popcorn and whipped cream, with chocolate & vanilla ice cream on the side. 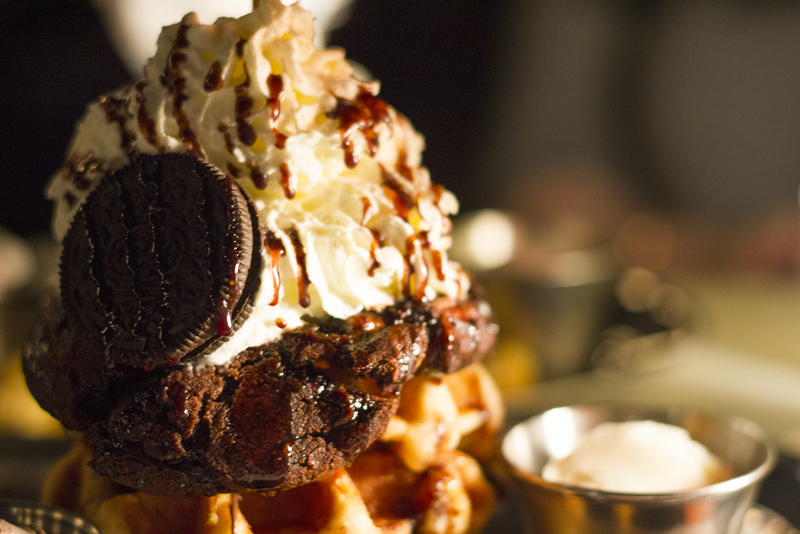 I had the Cookies & Cream Waffles (£7.50), which were drowned in Nutella, chocolate sauce, cookies, crushed Oreo and whipped cream, with chocolate ice cream on the side. Both were insanely good. 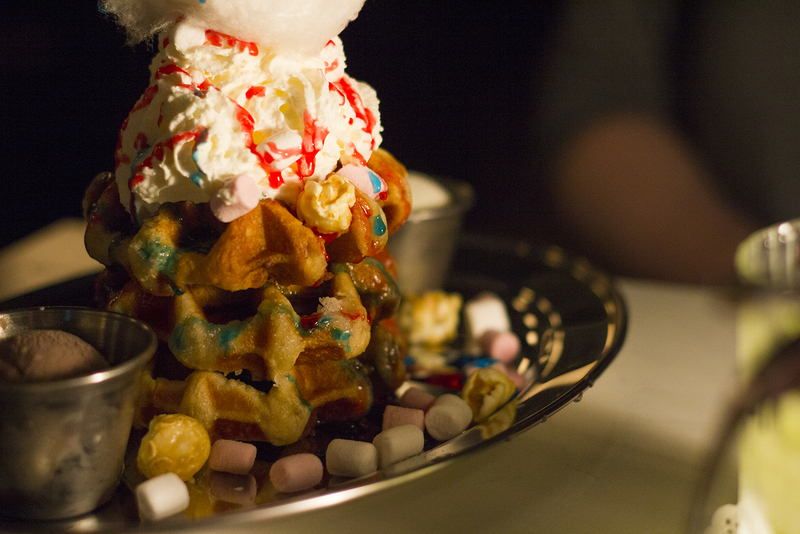 The waffles were warm and stacked high and the toppings were everything my sweet tooth could have hoped for. Not going to lie, you will feel a bit sick and disgusted with yourself after tackling it, but it’s all worth it. It made me do a little happy food dance. If you’re looking for more Manchester restaurant reviews, check out my food section for some inspiration!